When deciding on what woods to provide our customers with, Wisconsin hickory firewood was one that was a must. Since we grew up with Wisconsin firewood as our family’s heat source, we understood the importance of a wide variety of woods. We work hard to make sure that you get the most affordable and sustainable warmth for your home. The company that we’ve developed gives us great satisfaction and pride. With over 20 years of experience personally buying wood, we know what’s out there and where to find the best. When people ask where can I find hickory firewood near me, tell them to look no further than Best Burn Firewood. When looking for Wisconsin hickory firewood for sale, you don’t have to look any further than Best Burn Firewood. As one of the best, if not the best woods for great warmth and radiant heat, hickory firewood tops the list. With its many varieties, including shagbark, pignut, bitternut, shellbark, and mocker nut, you’ll have a host of choices to keep your home warm and cozy. Not only does hickory firewood give off very high BTU ratings, making it one of the hottest burning firewoods out there. It also is used by many top quality restaurants and BBQ's to cook and smoke their meat! We offer direct firewood delivery to Milwaukee restaurants, and plenty of them use our kiln dried Wisconsin hickory firewood! 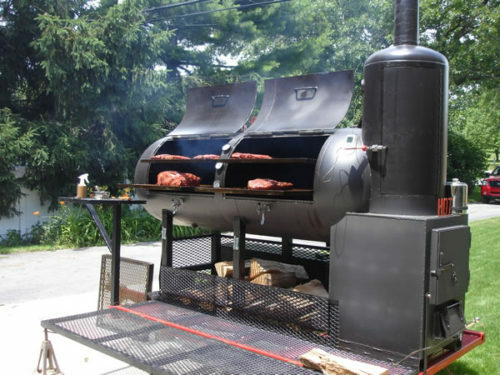 Are you just a backyard barbecuer, or do you own your own commercial smoker? No matter what you have, use what the professionals use! Hickory firewood is the only logical choice! Hickory is an outstanding wood for cooking offering a truly unique flavor enhancement, it is used for both Barbecuing, commercial cooking and smoking meats! Kiln-Dried Firewood– All of our firewood is kiln dried to a 15% moisture level. This gives you longer and hotter burn. Lighting our wood is a breeze, which allows you to heat your home faster, as well as more efficiently. Bug-Free Firewood– One of the downsides of hickory is the bugs that love it. With our kiln-drying method, those bugs disappear. You get a great heat source and don’t have to worry about other ‘visitors’ making an entrance. Clean-Burning Firewood– Our kiln-drying method also produces fewer creosote chemicals. This has many advantages. One, there’s no clogs in your chimney or harm done to it. Two, the smoke produced from our woods is environmentally friendly. Fast Delivery– You won’t have to wait for your Wisconsin firewood. We will deliver your order the same day, as long as it’s possible. Due to occasional high delivery volume, we make sure to have your order to you no later than the following business day. Saving Landfill Space– The amount of firewood you burn is equal to the amount of landfill not used. The potential for saving tens of thousands of feet of landfill space is a reality. Local Economy and Communit– Our woods come from logging companies who are involved in the clearing of local land projects. Our company is Waukesha-based and owned. By supporting our business, you help the environment, the local economy, and your community. Lower Utility Costs– Heating with wood is one of the most efficient means around. According to the Research Institute of Sustainable Energy, heating with firewood is four times more economical than oil, four times more than gas, and six times more than electric. There’s no beating that! So, the next time you’re wondering where to find Hickory firewood, take a look at Best Burn Firewood. 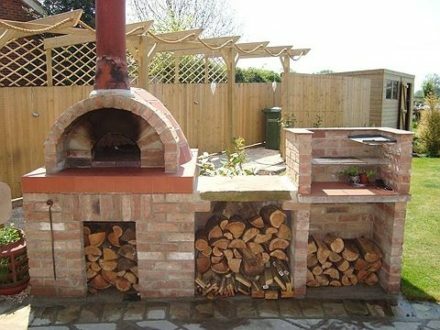 We’re local, knowledgeable, and we truly enjoy working with you to find the best firewood for your needs. Our years of experience with all wood types are something we love to share.